A While on the Nile is easy to play and you can even let it speed up as it gives you the opportunity to skip the elaborate counting of your wins; you will be shown your total win at once by simply pressing the right button. The five reels and three rows are fitted with a total of 50 pay lines, and you will mainly encounter standard symbols on your playing grid. These standard symbols range from the ten to the Ace and are used as fillers. The other animations all have to do with the theme, Egypt. The slot is equipped with a wild symbol, which is embodied by the farao, and can substitute for any other symbol except the scatter and the bonus symbol. These two symbols that cannot be substituted for are the diamond and scarabee respectively. 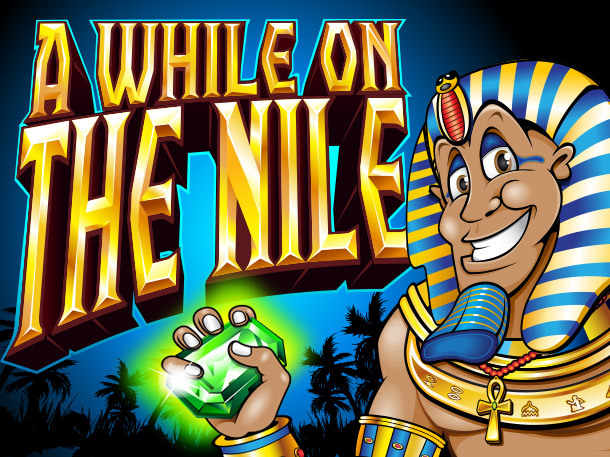 A While on the Nile might be a somewhat insipid title for a slot by NextGen Gaming, but when you find out how well the game has been executed, you will forgive them for it. Unfortunately, however, the slot does make quite heavy use of standard symbols, but the rest of the slot is very appealing. 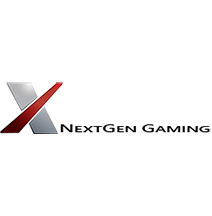 For example, the slot has a Super Bet option, it has a Gamble feature which allows you to keep on playing with your most recent win, and the slot is also equipped with free spins which allow your account balance to grow nicely. Moreover, the slot also has a bonus game. How to play A While on the Nile? 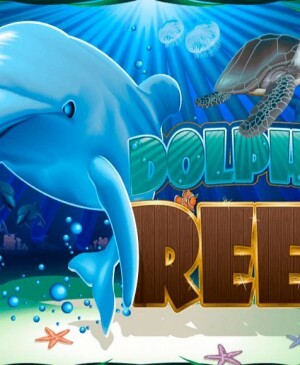 When three diamonds land on your reels, you receive 5 free spins. And even though that doesn’t sound like much, you won’t be disappointed. 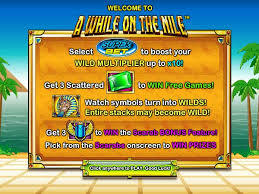 That is, wait until you see the wild feature during free spins. More specifically, during free spins, entire reels can turn wild, meaning that wins can reach astronomical heights. Also, you can win additional spins during free spins, which would mean that you are able to keep on playing with the wild feature without having a pay a dime for even longer. When the scarabee shows up on your playing grid three times, it’s time for the bonus game. And this bonus game has both its pros and cons. A big pro is that the game only ends when you select a collect, meaning that you might be playing for a while. 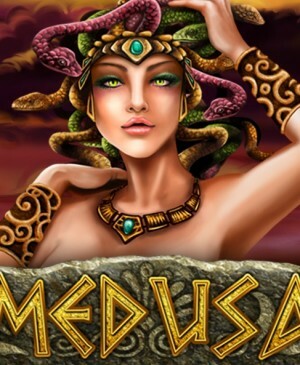 The disadvantage of this collect is, however, that you could also win nothing during the bonus game, as your first choice might be the collect. 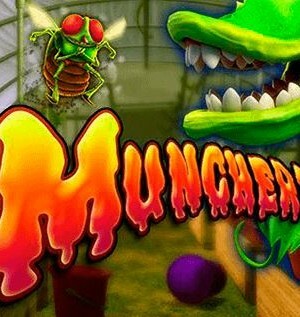 Due to this collect, the bonus game is very exciting, as you might win a ton or nothing. 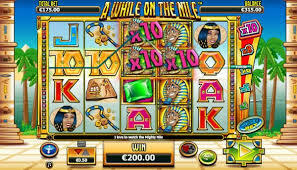 A While on the Nile is fitted with a total of 50 pay lines, which is a logical number for a slot with five reels and four rows. Also, these 50 pay lines are fixed, thus, you cannot alter the number of active ones. At the bottom of the slot, you can, however, still alter your bet. You can do so be configuring the coin value and/or bet level. The slot is also equipped with an autospin and if you want to turn off the sound, you can do so in the bottom left corner of the slot. 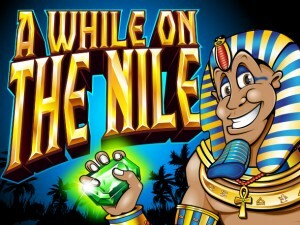 This way, you can play your very own favorite Egyptian music while playing this slot!